Clarion Gaming have underlined their commitment to the ongoing development of ATEI by securing an option to stage the 2011 edition at Olympia's National Hall. In responding to strong customer demand for a standalone amusements expo close to Earls Court, which will continue to host the International Gaming Expo, Clarion remains determined to guarantee the future of an event which has served the industry across more than six decades. The development follows feedback from an extended programme of consultation with ATEI exhibitors, with a significant number of UK-based protagonists voicing their desire for a suitable location in central/west London close enough to sustain a cross-over of visitors to IGE. Olympia, a venue regarded by many in the UK industry with fond memories, was ATEI's home throughout the 1980's, prior to its move to Earls Court in 1991, after which followed huge expansion and rapid growth in international attendance. Olympia's availability in January had previously remained beyond reach, but with the current tenants now vacating in 2011, Clarion has quickly agreed terms with owners Earls Court Olympia to secure first option on the venue. Explaining the move, Show Director Emma Green said: "We have worked closely with our stakeholders for several years to try and resolve difficulties borne out of changing market dynamics and Olympia has frequently been requested as an alternative venue. Using our strong ties with Earls Court Olympia, I am pleased to confirm that we now have the option of Olympia's National Hall for January 2011." She added: "We continue to liaise directly with our customers in order to stage a world class event in ATEI, at the same time striving to keep all costs to a minimum. 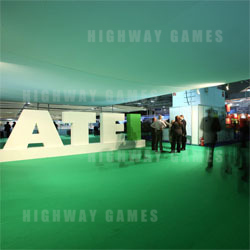 Plans for next January's show at Earls Court remain on track and with exciting new options becoming available all the time we anticipate further announcements in the coming days and weeks that will add further value to ATEI 2010. One option in particular, designed to address a major concern voiced by some exhibitors, is in the final stages of completion and we eagerly await its imminent presentation to the industry."